Review | Parenting at Your Best Receives another 5-Star Review! 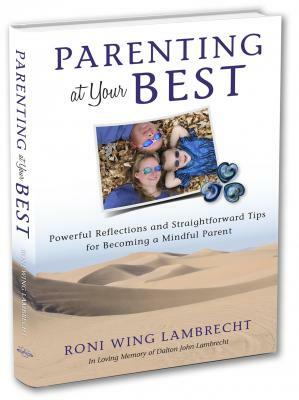 Parenting At Your Best: Powerful Reflections and Straightforward Tips for Becoming a Mindful Parent by Roni Wing Lambrecht is a useful guide to all those parents who are struggling to have a loving and positive relationship with their children. Parenting will always throw unexpected curve balls and the book prepares parents to enter the world of parenting. The book helps all parents to breathe, be present, and enjoy their moments of parenting. The advice and suggestions are helpful in maintaining a good relationship with their children and the author’s personal experiences and stories help readers connect well with the book. The author handles a relevant topic with mindfulness and simplicity, making it easy for readers to incorporate her suggestions and tips into their lives while handling their children. The stories, footnotes, and journals make the book unique, original, and different from the usual parenting books that one reads. The photographs shared in the book make it personal and help readers feel and understand the author’s words. The questions at the end are helpful in understanding the roles of children in our lives and also help to assist parents in becoming more successful in their roles. The book is a must-read for all parents as the suggestions and advice help them in becoming better at parenting. Roni's goal is not for accolades, but rather to help current parents live in the moment with their kids ages 0-100. You see, Roni and her husband lost their son, their only child, Dalton, at age 15 and, since then,they have made it their mission to help other parents live better, more meaningful lives with their kids. All of Roni's books are available at www.ParentingAtYourBestWithoutRegrets.com, and also on Amazon.